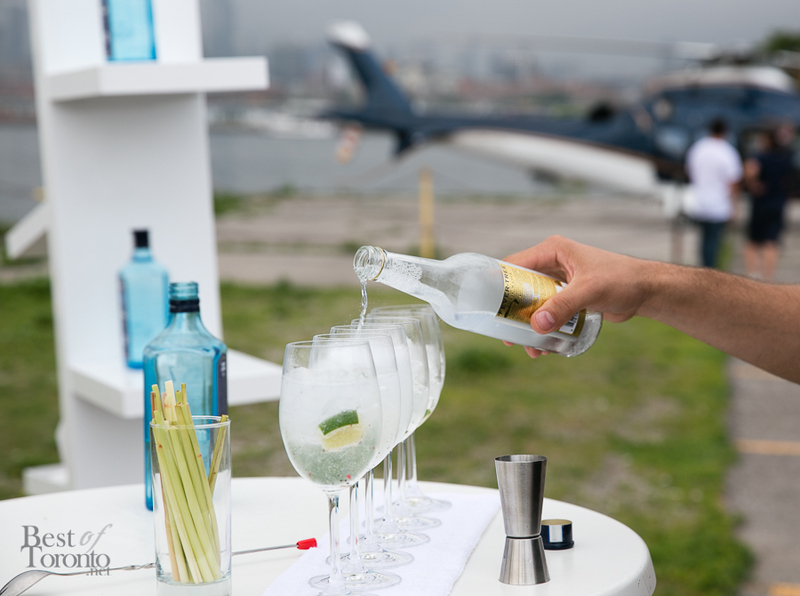 Surely one of the finest and most memorable cocktail hours I’ve attended, Bombay Sapphire invited a select few media to experience the Cinq a Sept happy hour at a whole new level with cocktails in the sky. 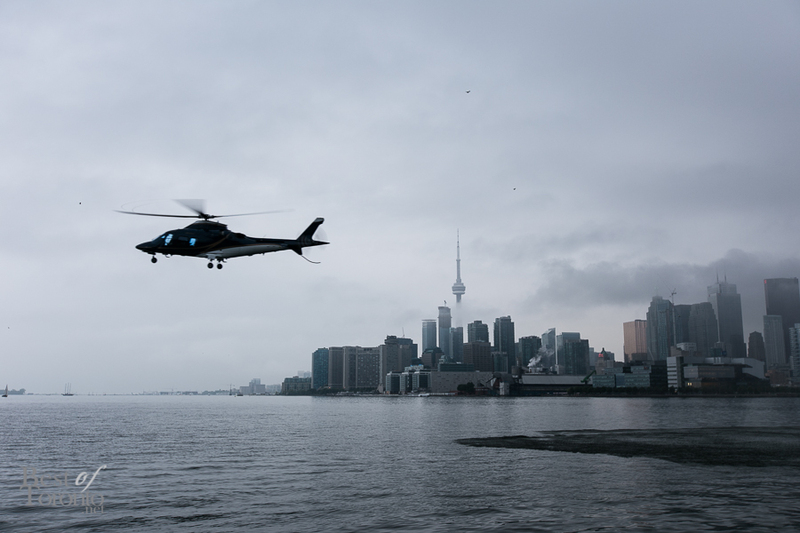 First we got the personal door-to-door treatment by getting picked up and chauffeured to Polson Pier in the Sound Academy building. Upon arrival we were greeted by a well-decorated and exquisite cocktail reception in the bright and spacious Solarium overlooking my favourite summer hotspot, Cabana Pool Bar. My favourite go-to bar rail drink is gin and tonic but the G&T cocktails crafted by Trevor were nothing short of delightful, refreshing and refined. 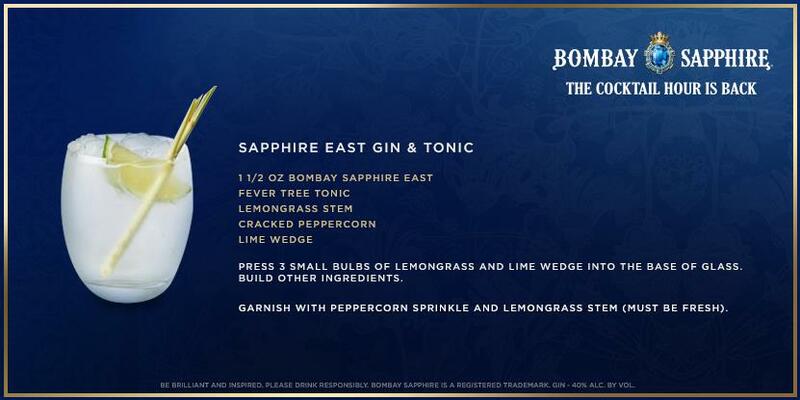 The evidence was in the fine ingredients using Bombay Sapphire East (younger sibling of Bombay Sapphire released in September 2011) as well as fresh lemongrass stem and premium tonic water by Fever Tree. I was most intrigued by the use of cracked peppercorn. 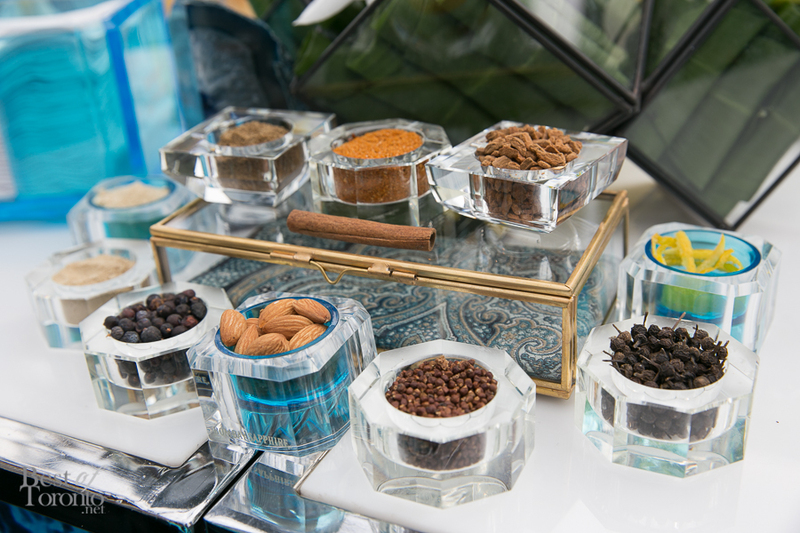 But it’s actually not so unusual as both lemongrass and black pepper are some of the botanicals used in the distillation process of Bombay Sapphire East. So the flavours in the gin were complemented and enhanced by these fresh additions. 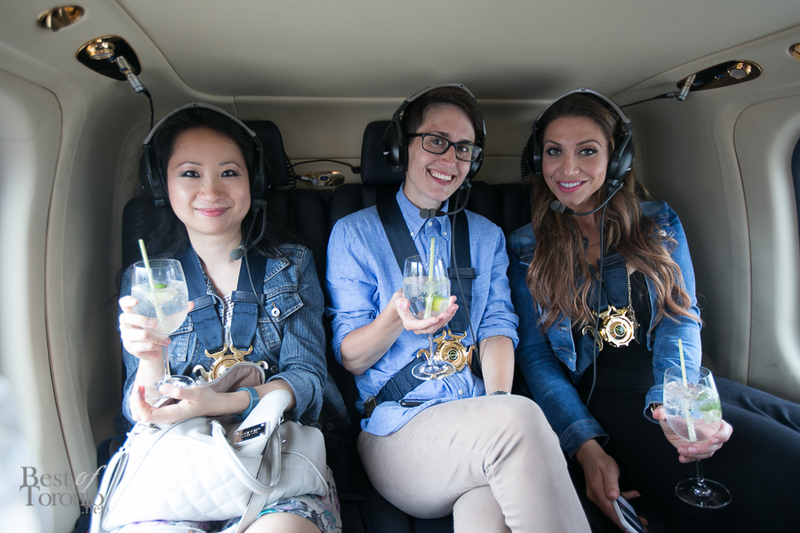 We also learned how to hold our cocktails in the helicopter without spilling. Then it was time to take our drinks in front of the launch pad. It was my very first helicopter ride ever so it was a bit tense at first but the take-off actually felt smoother than in an airplane as you get pulled vertically like an elevator rather than horizontally like a rollercoaster. 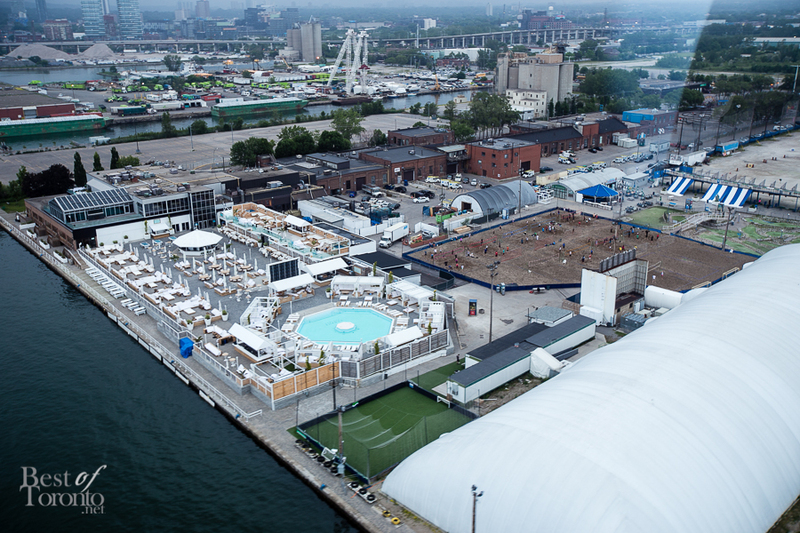 Although we had some rain and fog that evening, I was happy to see Cabana Pool Bar from above. 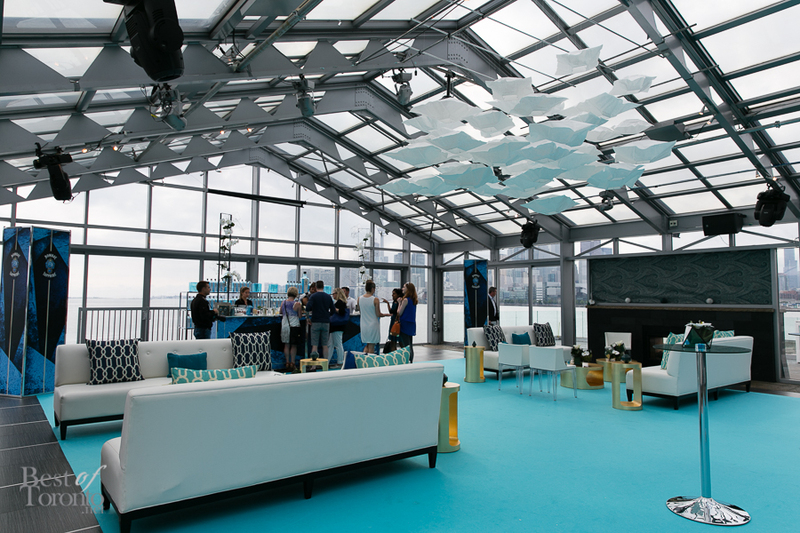 Kudos to Bombay Sapphire for the truly memorable “5 to 7” experience and for breathing new life into my gin and tonic. 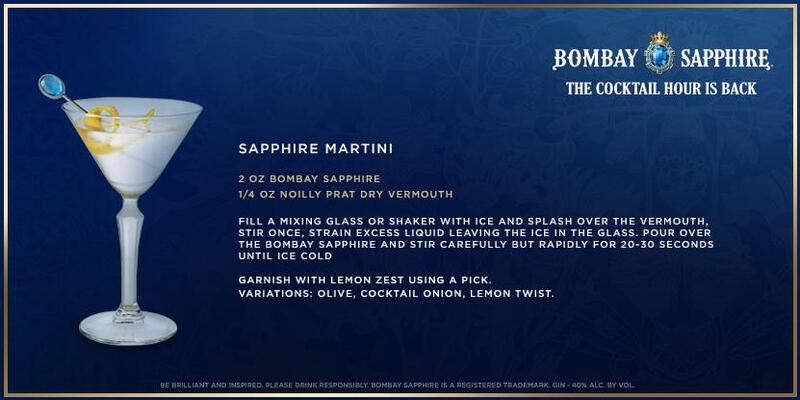 Also here’s some recipes to help you rediscover cocktail hour on your own terms.